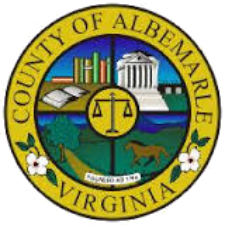 Albemarle County is sending 2016 Change of Assessment notices to taxpayers this week reflecting changes in property values resulting from the County’s recently completed annual reassessment. The notice will show the new 2016 assessed values alongside the 2015 and 2014 values and tax amounts and provide the percent change in the proposed new tax levy as compared to each of the two previous year’s tax levies. The proposed tax levy is based on the new assessed value and the 2015 tax rate, because the 2016 tax rate is set by the Board of Supervisors at a later date. Any questions regarding the new assessment notice should be directed to the Office of the County Assessor. As indicated above, results for different property types may vary significantly from the overall change. The reassessment figure reflects the values of existing properties and does not include the value of new construction. New construction is estimated to be valued at $100,000,000 for the assessment period. The new assessments will be reflected in the real estate bills which will be mailed in late April, 2016. County officials recommend that anyone who would like more information or who wishes a review of their assessment to contact the Office of the County Assessor at (434) 296-5856. Real estate assessment information can be found on the County’s Website, www.albemarle.org, under Online Services, GIS-Web. Among information available are property descriptions, maps and sales information. The Assessor’s Office provides computers that can be used by the public during normal business hours. There is a process in place to appeal disputed reassessments. As a first step, taxpayers are encouraged to contact the Assessor’s Office to ensure the correctness of County records and to receive an explanation of the basis upon which the valuation was made. If visiting the Assessor’s Office, we highly recommends that citizens make an appointment to ensure that the appropriate staff member, who can best explain the valuation of their specific property, is available. To request an official internal appeal, the 2016 Administrative Review form can be found on the County website on the County Assessor page. This form can also be mailed, emailed or faxed upon request. The deadline to return this form to request an internal appeal with the Assessor’s office is February 29, 2016. If a property owner does not receive satisfaction with this step, further appeal may be requested through to the Board of Equalization (BOE) appointed by the Board of Supervisors. The BOE is comprised of Albemarle County citizens who have completed training by the Virginia Department of Taxation and who meet on a regular basis. All appeals to the Board of Equalization must be filed by March 16, 2016. Applications for qualifying properties to enter the Land Use Tax Deferral Program will be accepted without a late fee, but with the $15 minimum application fee, by the Assessor’s Office through February 29, 2016. A new application for each parcel is needed to enroll in the program or when a property enrolled has a change of use of acreage from that previously qualified. A new application is not needed if your property is currently qualified in the land use assessment program.